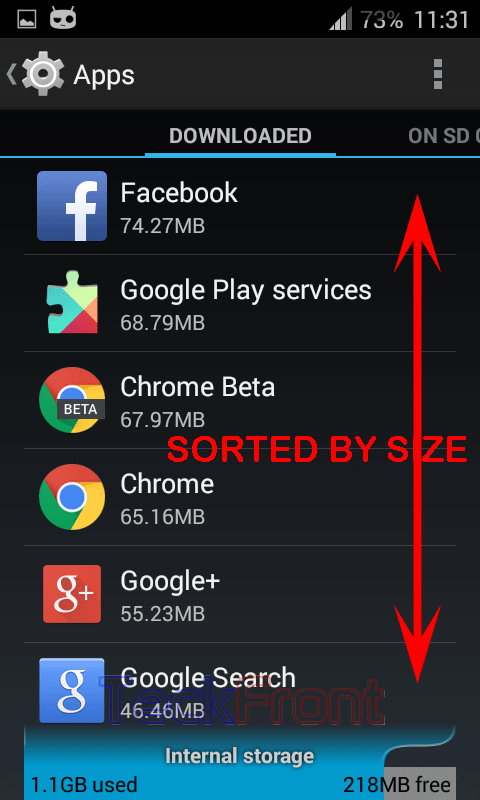 How to Sort Apps by Size in Your Android 4.4.4 KitKat Phone? If you want to boast up the performance or speed of the Android 4.4.4 KitKat device or reduction in the consumption of the battery is necessary, it is advisable to close some of the running apps. Deleting some of the apps (usually the free ones) is also a good idea. In this process, first of all, you are required to analyze the size of the app which are bigger in size and are using too much space in internal storage. This is easier in Android 4.4.4 KitKat as specific feature is included to sort the apps. You may also sort the Downloaded, On the SD Card, Currently Running Apps or All Apps with this tip. Command Line: Settings > Apps – DEVICE – Apps. 1: Follow the Command Line to open up the Apps screen. 2: At the ‘Apps’ screen, see the apps DOWNLOADED are seen first. If you want to see the currently running apps, apps on the SD card or all other apps in your Android phone, swipe to right, according. 3: Tap the ‘Settings’ button on the top right corner of the ‘Apps’ screen. It will open up a popup menu. 4: See the ‘Sort by size’ is at the top of the popup menu. Tap it. 5: See all the apps, under ‘DOWNLOADED, ON SD CARD, RUNNING or ALL’ – whichever is selected for the purpose – are sorted by size. Now, you may select the apps, which are biggest or smallest in size, for doing the needful at your end. Newer How to Erase SD Card of Your Android 4.4.4 KitKat Device? 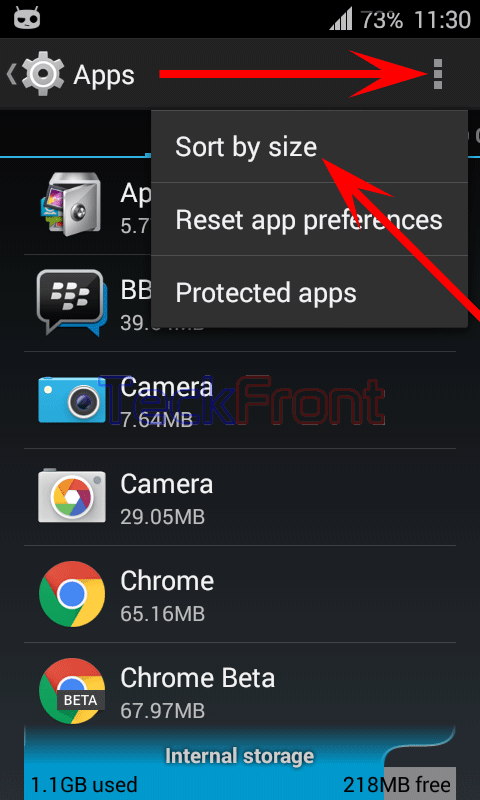 Older How to Check Available Space for Installing Apps in SD Card in Android 4.4.4 KitKat Phone?